Float therapy accelerates recovery time post-exercise up to four times faster than any other method. 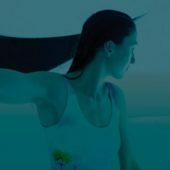 The water in the float pod has the added benefit of being saturated with Epsom salts, which have well-established healing effects, helping to draw out toxins and lactic acid from work outs, speeding up recovery time and allowing athletes to train harder and reach their peak performance. Additionally, the pod can facilitate a fantastic environment for visualization where the athlete can focus all their attention and concentration on visualizing their performance and technique. The results of research relating to the power of visualization and its effect on performance are astounding, it is quite a powerful tool.